Third Bridge was apparently the site of a brutal indian massacre. A car accident there in the 90's also killed a couple teenagers, and last year a man was murdered a mile east of it. 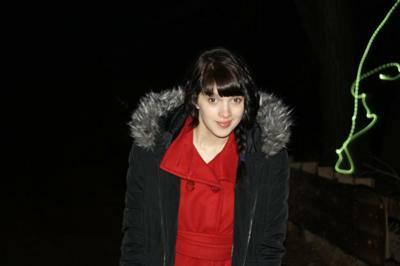 Last Sunday, a group of my friends and I went out to this supposed haunted bridge at around 11:00pm. There was a total of seven of us. We got there, and for awhile we were just wondering up and down the bridge and nothing was happening. However, we started taking pictures, and the first weird one was just of my friend Julian and an odd green dotted line to the right of her. We caught a couple similar images, mostly after one of us thought we saw something move in the distance. At one point, we were standing on one end of the bridge and our cars were parked a ways down in the opposite direction. A couple of us kept saying "It looks like there's something moving on the right side of the car," and although I didn't personally see it, more of us agreed. 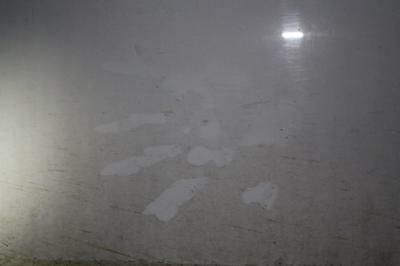 When we got back up to the car, we found handprints on the right side, on the door, fingerprints near the handle, and on the back on the trunk that weren't previously there before. But before we walked back to the car, a friend of mine, Haley, asked me in a very worried voice to shine my flashlight on her arm. Before I even turned the flashlight on we could all see red. Something had scratched her arm, near her shoulder, and it had drawn blood. There was also a weird zig-zag pattern right below it, almost like two W's hooked together. We were all so shocked we couldn't move at first. We had been standing on the bridge the entire time, we weren't near any branches or anything that could scratch her and the girl bites her nails so there's no way she could've done it herself. She described it as a burning sensation instead of the normal feeling you get when you're scratched. We continued walking around, and a little while later Haley freaked out again and asked me to look at her neck. She had new scratches there. 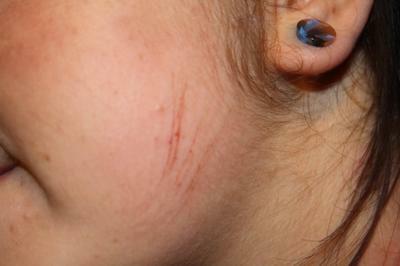 Nothing eventful happened until we were leaving, when Haley found more scratches on her face. It wasn't until we got home that we found the W scratched into the back of her neck. We started to google the indians that are from there, trying to find what a W had to do with anything, but we couldn't find anything. It wasn't until yesterday that I found out the man that was murdered there last year's name was Randy Wilson. It could be a coincidence, but I find that hard to believe. I know this sounds crazy but I swear to you it was all true, and it was honestly the weirdest and craziest thing that has ever happened to all of us. 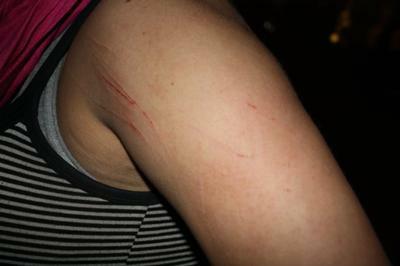 I have provided some of the pictures we took, including the ones of Haley's scratches. I am a new blogger, what can you say about custom essay writing service - they helped me to write content for my blog, but prices are too much expensive I guess.